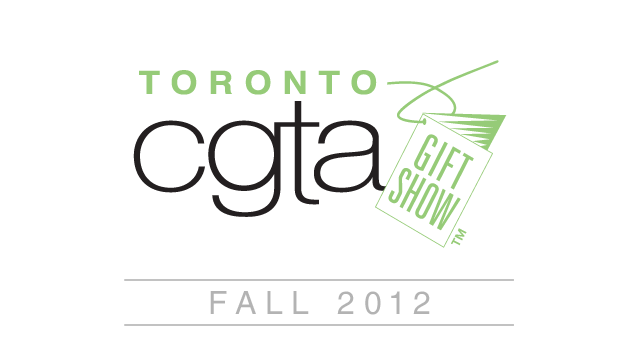 Since 1995, faAB HomeFashions has had a booth at the Toronto Gift Fair, formally known as the CGTA Toronto Gift Show. Over the years we’ve weathered; major blackouts; January's freezing temperatures; blizzards (one “near blizzard” which essentially closed down the show); torrential rain storms, along with blistering heat. It seems almost everything has been thrown at us. But, as always, the effort pays off in spades. We are always thrilled to see our customers, hear about business successes, along with challenges, meet new clients and tell the story of faAB. Thanks to all that visit, write orders (thank you), purchased panels to refresh displays and offer positive comments and ideas. We love the feedback and take every suggestion in to consideration. You make us better, so much so that we've even won a couple of awards. Exhibitors of gift and decorative products that feature the latest in unique designs that are intriguing, innovative and representative of today’s and tomorrow’s lifestyles. We are pleased that faAB has been recognized for achieving these leading edge design attributes. Visit us at the Toronto Gift Fair! faAB HomeFashions displays our latest line twice a year in January and again in August. Visit us to see what’s new. Pick anything from the line! Choose from In-stock, Extra faAB, New introductions, Bestseller's, or your customer's favourites. Choose any of our faAB six headings. faAB Pleat, Perfect Pleat II, Inverted Pleat, Classic Pleat, Grommet or Rod Pocket Panel. Make a selection of up to five different panels and we'll give you the BEST price possible. This will represent a significant savings and make it easy for you to showcase the very best of faAB's ready-mades. For those of you who can't make it to the show we’ve prepare a short video to give you a taste of what you're missing. Your browser cannot view this version of the video. This video requires an up-to-date, modern browser. We recommend the following browsers for their compliance to standards and security features, Chrome, Firefox or Safari.